Over the past two decades, efforts to improve schools have significantly modified role expectations for principals. Today, school-level administrators are expected to be both visionary leaders and competent managers. Based on the conviction that administration is an amalgam of leadership and management, The School Principal emphasizes the need for practitioners to apply conceptual skills to make "what to do" decisions, to apply technical skills to make "how to do" decisions, and to apply relational skills to engage in democratic decision making. 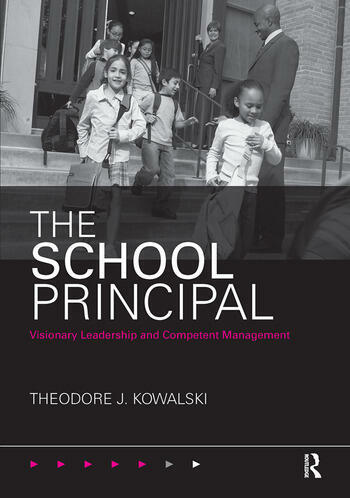 Kowalski frames the book with a discussion of the nature of schools, the roles of principals, and their need to improve schools. The book then provides a balanced treatment of leadership and management, covering issues of personal behavior, instructional leadership, relationship building issues, finances, facilities, personnel management, pupil services, and maintaining safe schools. The text closes with discussion of the vital aspects of practice for contemporary principals, addressing problem solving, collaborative change strategies, and personal commitment to being a principal. Vignettes introduce the subject matter in the context of common challenges faced by practitioners. Knowledge-Based Questions and Skill-Based Activities prompt readers to engage with and reflect on the chapter content. The School Principal aligns with the Educational Leadership Consortium Council (ELCC) Standards. Treating principals as concurrently visionary leaders and competent managers, this excellent text addresses the needs of aspiring and practicing principals, providing the tools to build effective and efficient schools. Theodore J. Kowalski is the Kuntz Family Chair and Professor in Educational Administration, University of Dayton.